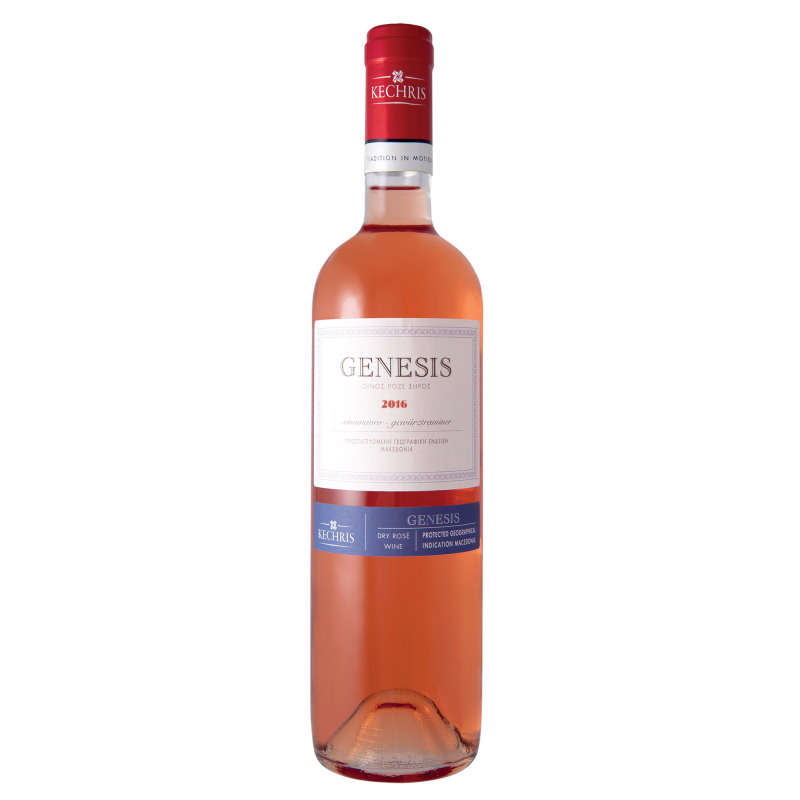 Combining the lively character of an aromatic Xinomavro with the delicacy of the Gewürztraminer, Genesis is a thoroughly modern wine offering an integral flavour experience you will want to savour every day. 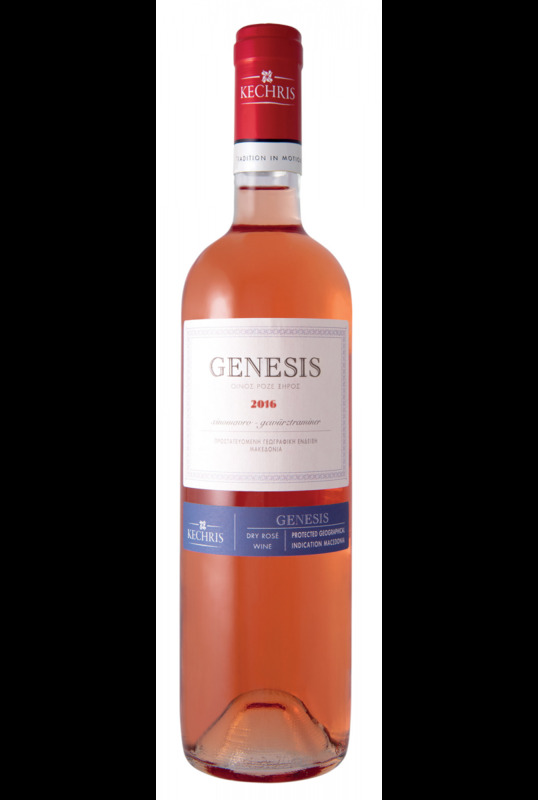 The luminous salmon colour immediately prepares you for a stylish, elegant wine. The delightful fragrance of roses is underlined by delicate notes of strawberry and cherry. In the mouth, the cool crispness is perfectly balanced by a hint of sweetness, which gives the wine a velvety texture and an exquisitely long finish. Ideal as a refreshing aperitif or the perfect accompaniment to seafood pasta, light salmon dishes, spicy Asian dishes or fruit salads. Gewürztraminer from the mountainous vineyards of Amyndeon was prematurely harvested, having reached excellent levels of ripening. Xinomavro, which derives from a selected and specially managed vineyard in Goumenissa, ripened in record time thanks to the green harvest and other special techniques that were applied, and was harvested right before the first autumn rains, thus maintaining its very high quality levels. After a few hours of maceration, the Xinomavro is moved to a new tank for vinification together with 15% Gewürztraminer.